For those seeking a luxury holiday not far from home then Dover Cruise Port can boast a series of round Britain cruises booked to depart from the world famous port in summer 2012. Dover Harbour Board stated that an operational highlight for 2010 was 167 calls and more than 300,000 passengers. This compares favourably with 2009 when there were 136 cruise calls and about 260,000 passengers to the UK port. The Port of Dover welcomes the Spring arrival of the first cruise ship of the year – the AIDACara. 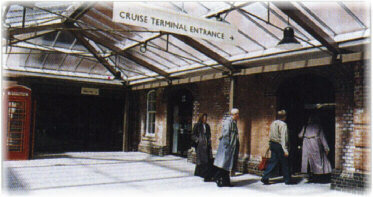 Dover Cruise Port had a record 167 calls and welomed over 300,000 passengers this year. Holland America Line has just announced celebrity BBC chef Valentine Warner will join the ms Eurodam “Fjords and Highlands” cruise departing from Dover on 3rd June 2011, where he will demonstrate his cookery skills to guests on board.